This picture is really the meat of what I have so far. 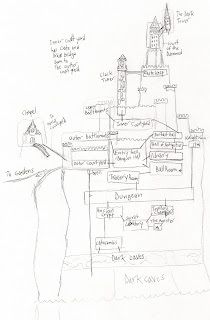 Its kinda a cross section of the castle, but the main purpose of the pic is to layout the various levels and sections- and show me how they relate to one another. I like how many of the levels are interconnected. It will eventually become possible to unlock direct paths between certain lvls. 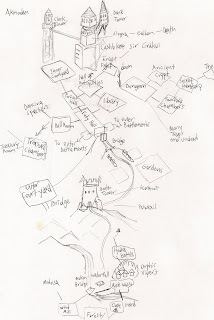 For example the Inner Courtyard is initially inaccessible from the Lower Court, but after fighting through to the Upper Battlements the party will be able to lower a draw bridge to connect the two courtyards. Also the Chapel deserves some mention. 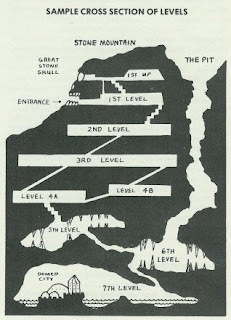 It is intended to be a safe zone so the party can withdraw from the dungeon and rest in relative safety without having to slog it all the way back to the town. I'm planning for Losh Nekkar to start in a kind of dormant state a gradually "wake up" as the PCs explore it. 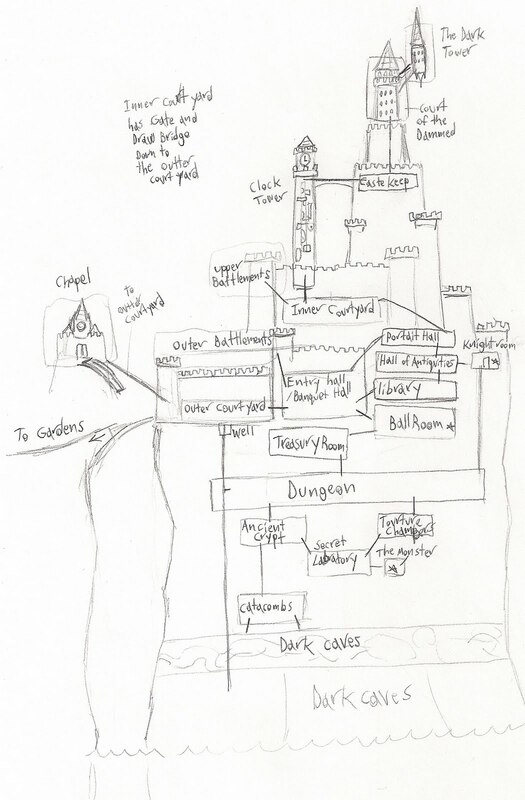 The dungeon for example will be sealed off from the rest of the castle until the PCs blunder on down there, releasing various dungeon themed creatures. Gradually the dungeon creatures will start appearing in other places as they migrate around the castle. 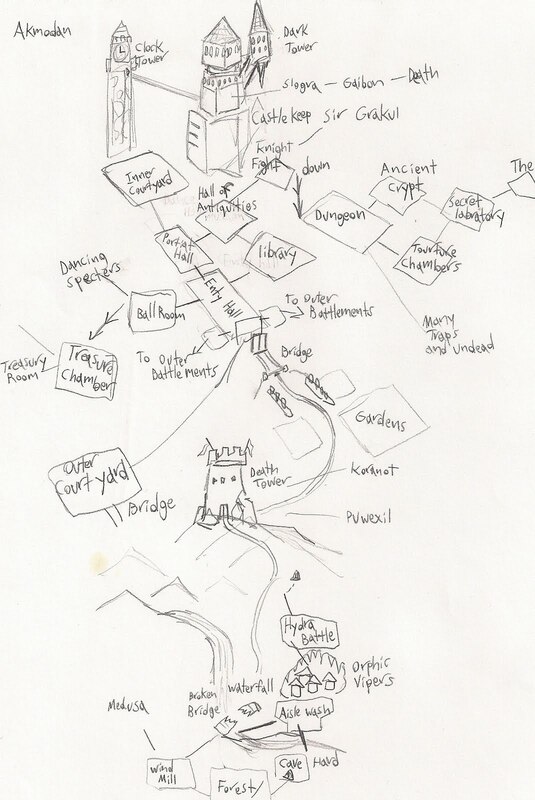 And this is a very early sketch which was super heavily based on the stages from the Super Castlevania IV game, the names of boss creatures and things are scribbled all over the place. The game is a linear sidescroller so I was trying to figure out how the various locations would logically fit together in a "real" castle. Sorry to come late to the commenting party, but that vertical cross section is really quite nice. It's got an archetypal feel that reminds me a bit of good ol' Skull Mountain! I'm definitely going to link to this when I post about Castle Tintagel for next month's September of Short Adventures. Cool, glad you like it. I really need to post some more about my castle, and get more scans of my art up.